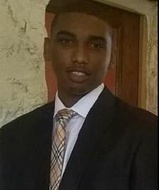 Mark Le Roy Tyree Jr., a 15-year-old black youth, was shot and killed Sunday, June 26, in the 1300 block of West 92nd Street in the Westmont neighborhood of South Los Angeles, according to Los Angeles County coroner’s records. Tyree was a high school student who lived a few streets away from the shooting scene, said Los Angeles County Sheriff’s Lt. John Corina. He was hanging out with a 14-year-old friend in the driveway of his friend’s home about 8:26 p.m. when a dark-colored sedan drove by, Corina said. At least one person in the car opened fire, striking Tyree multiple times, Corina said. His friend was not injured. Tyree was taken to a local hospital where he was pronounced dead at 9:07 p.m. with gunshot wounds to the arm and chest, according to coroner’s records. Witnesses were unable to provide a description of the shooter, or shooters, Corina said. The vehicle was described as a dark, primer-gray sedan — possibly a Chevy — last seen heading east on West 92nd Street. Investigators believe the shooting may be gang-related, but Corina said neither Tyree nor his friend were gang members. Mark Le Roy Tyree Jr.
Share a memory or thought about Mark Le Roy Tyree Jr.
Mark Leroy Tyree ll was my beloved son whom I affectionately called "TJ". I am paralyzed with pain and grief on today, as this day marks my son's 2nd year death anniversary. My heart is broken and riddeled with pain that only a fellow mother who has lost one of their own due to senseless gun and gang violence can experience...a broken heart that can never be meanded. I can hardly believe that it has already been two years since my son was gunned down, because it hurts as if it was only yesterday. Whomever said that times heals all wounds, errored exceedingly!!!!! On the contrary, time only deapeans the wound of losing my son, because with each passing day the reality sets in that I will never see my son's beautiful face again in this lifetime. It feels surreal, as I can hardly believe that it has already been two years since I've been able to hug, kiss, scold, or simply tell my son that I love him. When a mother buries a child she buries all of the hopes, dreams, aspirations and accomplishments she held for that child. However, a mother never buries all of the countless memories of her child. Since it is obvious that the pain of losing a child doesn't go away and it doesn't get any better, I pray that somehow, my Creator, gives me enough strength to bare the pain so that I can at least be able to live again...at least for my five remaining children. — Imani Bakari-Tyree June 26, 2018 at 1:24 p.m.
R.I.P. Mark. You were a great kid. Also, you had a great sense of humor and made me laugh at times. After you passed, I found a birthday card that you had written to me, that I never got from you. The words on that card really touched my heart when you told me that I"was a big help to this family and a good friend, st times.". It brought tears to my eyes and made me feel proud and appreciated. Thanks big Boy. I love you. You will never be forgotten. — Clifford Turner June 22, 2018 at 1:13 p.m.
Will it take the loss of your loved one to speak out against gang/gun violence? — Grandmother June 21, 2018 at 8:47 p.m.
We are rapidly approaching the 2nd year anniversary of my precious grandson's murder. It is only through constant and fervent prayers coupled with the Grace of God that I have had the strength to sustain the pain that accompanies such a massive loss. In the aftermath of Mark's murder, I spoke to everyone who crossed my path about what happened to Mark. It seemed that everyone God placed in my path, had. too, lost a loved one from gang violence. However, Mark's life was not lived nor lost in vain. God, working through me is bringing a shift in this crisis that will lead us to the other side of this mountain of pain. Thousands of kids lives have been cut short by this senseless violence that permeates our Communities, before Mark's death and many have died within the 2-year time span since. We must all do whatever we can to stop losing our children to this senseless violence. As President Obama stated in the letter of condolence that I received from him: "If there is even one thing that we can do to keep our children and our communities safe, then we have an obligation to try." — Grandmother June 21, 2018 at 8:44 p.m. I was blessed in knowing Mark by his mother, Imani. As a LAUSD teacher, I have seen many teenagers grow into adults. Mark was a model in this regard. Smart, strong respectful and resilient, the world is a lesser place without him, but I am better for knowing him. — jerome charles Sept. 27, 2016 at 11:39 a.m.
Mark was my nephew. He was a good young man he always tried to help when you needed . He was highly respected of his elders and took excellent care of his older brother inkosi who is autism. He loves coming to Arizona to visit me and my sister and always stayed at his auntie Beulah house because she had a big king size bed and he did a lot of food. On his dreams was taken away from him at a early age buy some no-good thugs but one thing I can say they might think that they have gotten away with it but God sees everything he knows exactly where they live who they are in their names. Mark will have his Justice it may not be in this world but it will be in the next one when his killers has to face God and Mark and there would be no forgiveness. We all love him very much and miss him and I know this for sure to be absent from the body is to be present with the Lord. Mark is at peace. — Beverly Franklin Sept. 25, 2016 at 6:09 p.m.
Mark Tyree is my grandson. My heart is broken in two and lies wide open in my chest cavity. Mark was a good boy who spent a lot of his spare time helping out with his. 20-year old autistic older brother. Hr was not an. A student. nor was he a star athlete. He was judt a boy on the verge of manhood. He. Is just another young black male who has fallen victim to a 50-year old crisis that has morphed into an epidemic that threatens the very existence to an entire.group. ; street gang violence that perpetuates black-on-black crime. I vow to dedicate the remainder of my life to working agsinst thid cancer like plague and save our children. I cannot bring my beloved grandson back, nut eith God"s blesdings,perhaps i can do something to sabe someone else from experiencing this psin. WILL IT TAKE THE LOSS OF YOUR CHILD TO STAND UP AGAINST GANG VIOLENCE? It did for me. Please. Let our children live! Its. Time to stop the. Killing! — Wilma Galathe Sept. 25, 2016 at 3:42 p.m.
Mark "TJ" was my cousin. I can't believe this happened to him he was such a good kid and just 15 years old. He was suppose to be coming to live with me, as his dad's first neice, I was glad to take him in but it never happened because of this. My little cousin is in a better place it just hurts because I can't call him. I will see you again TJ Rest in heaven cousin I love you. — Nikeea Singer Aug. 29, 2016 at 1:43 p.m.
— Montrail blackwater Aug. 15, 2016 at 8:50 a.m.
— Dora magana July 9, 2016 at 3:18 p.m.